Do you ever have those moments where you think "if brand x could stop making pretty things that would be great."? That's 100% me with all things Scofflaw Nail Varnish. She's a true artist with everything she blends. 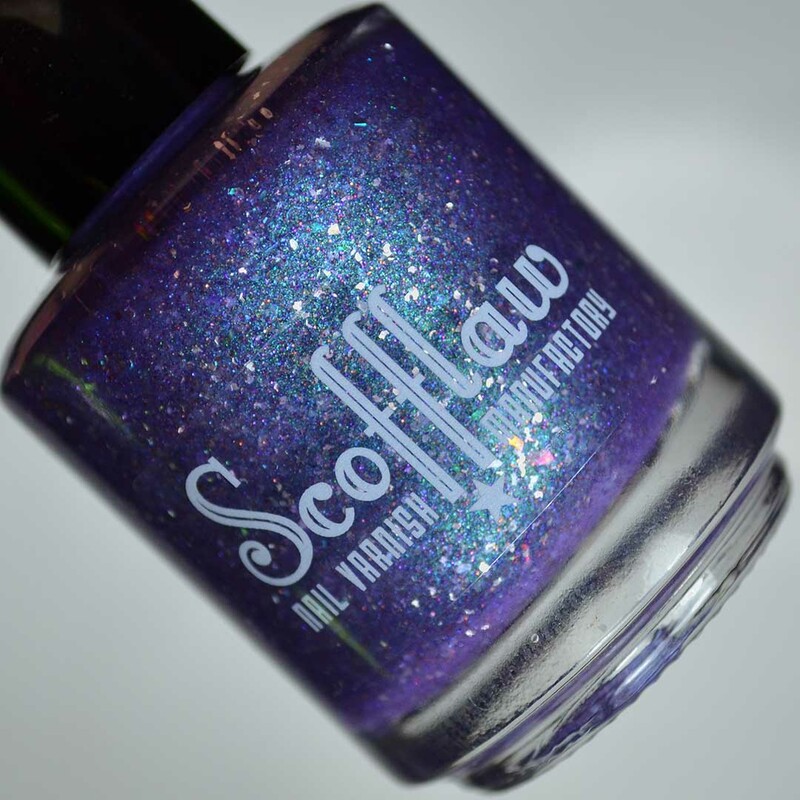 Today's post features Scofflaw Nail Varnish Purple Rain. This is the upcoming Polish Pickup shade for the month of August. 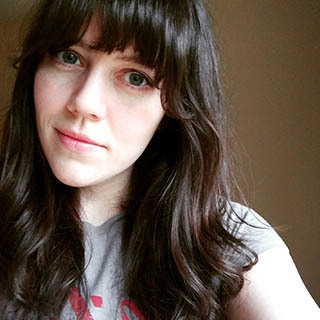 Notes: Purple Rain is seriously magical. From the shimmer to the silver flake I'm absolutely smitten. 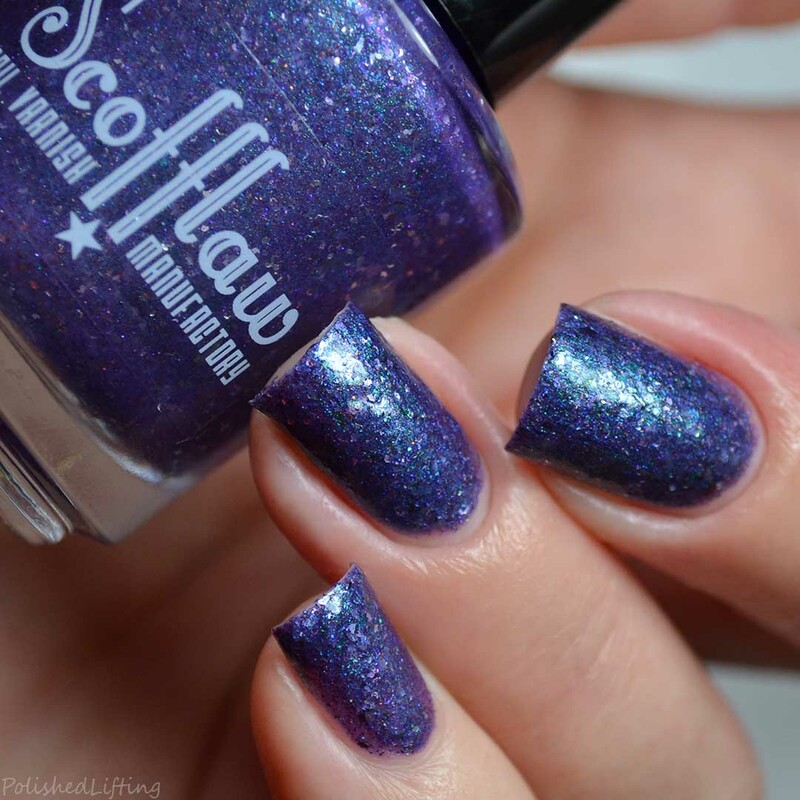 Scofflaw Nail Varnish Purple Rain will be available through the August Polish Pickup. The shop opens on Friday, August 3rd at 11am eastern/8am pacific and closes on Monday, August 6th at 11:59pm eastern/8:59pm pacific. 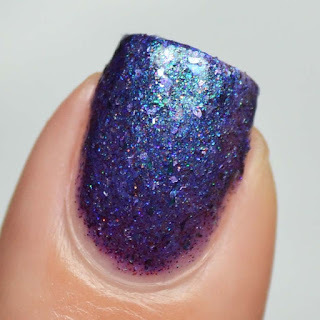 If you enjoyed this post you might like Scofflaw Nail Varnish Rebel Rebel and Scofflaw Nail Varnish You Have Died Of Dysentery | Polish Pickup June 2018.